Click on the pest bugging you! 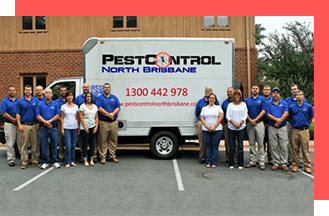 If you are having problems with any of the pests commonly found on the northside of Brisbane, then you’ve come to the right place! The team at Pest Control North Brisbane have the knowledge and expertise to remove or treat any and all of the common household pests found in the river city. We have an experienced team of professionals who can help you with your issue, be it for domestic or commercial pest control. Our vast knowledge about insects, vermin, termites and other pests local to the Brisbane region, allows us to tackle any job, no matter how big or small. We utilise the absolute latest in advanced methods and equipment, while still managing to keep our services safe and competitively priced. With over 25 years experience working in this industry, we will know the right solution or management programme to fix any pest issue you might have. We service all of the Northside of Brisbane, including Narangba, Kallangur, Redcliffe and Caboolture. We even venture down south of the Brisbane river on occasion. Don’t let fear or an infestation keep you up at night. Get in contact with our team at your ASAP and we’ll do the rest and eradicate those pests! Call us now on 1300 442 978! We utilise the most high-tech equipment and knowledge along with natural pest control methods, including organic whenever possible. This means that you can rest assured knowing you are keeping your family safe while still keeping the creepy crawlies at bay. We minimise pesticide usage and choose to use non-toxic methods for both indoor and outdoor applications whenever available for any particular pest problem. Because of our advanced and highly-effective methods for combating insect and rodent intruders, we can offer a better service than many other operators and longer guarantees against new infestations. Our expert pest controllers will not only solve your current pest crisis, but we can also review your current situation and detect any signs of future problems that may arise. 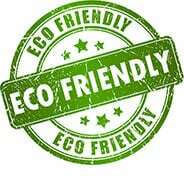 We are happy to provide free advice on pest control and preventative measures. We are firm believers in ‘prevention is better than a cure’. If we can help you avoid or prevent pest problems, we most certainly will. We take our duty of care very seriously, and believe it is our job to give you as much information and advice as we can! Controlling pests on the Northside of Brisbane has never been easier! Get in touch with out team today to find out how we can make your problems disappear! Call us now on 1300 442 978 or fill out the contact form at the top of the page and one of our friendly team members will get in touch with you within 24 hours. We guarantee you’ll be glad you did. Pest Control North Brisbane are happy to service areas as far north as the Sunshine Coast, however most of our commercial work is done no farther north than Redcliffe or Caboolture. We are also happy to take on jobs as far south as the Gold Coast, but mostly work within the suburbs to the north of the river. Take a look at our full list of service areas linked to above, to find out more about how we can help you in your particular suburb. LJM Plumbing – The ever reliable and highly professional emergency plumbing team at LJM will save you. If you have a drainage emergency that needs instant attention, get in touch with them immediately. Drain Cleaning Brisbane – For blocked drain cleaning and pipework repairs. Trust Brisbane’s experience drainage and plumbing team. “With two young children at home I was a bit concerned about having pest control work done in and around my home. A detailed conversation with Steve, one of PCBN’s technicians put my mind at ease, and now the cockroaches and mice that were taking over my property are nowhere to be seen! The team at Pest Control North Brisbane are the only pest control company in Brisbane that I trust. Their level of professionalism and customer service is second to none, and their affordable rates are so much lower than my previous providers!